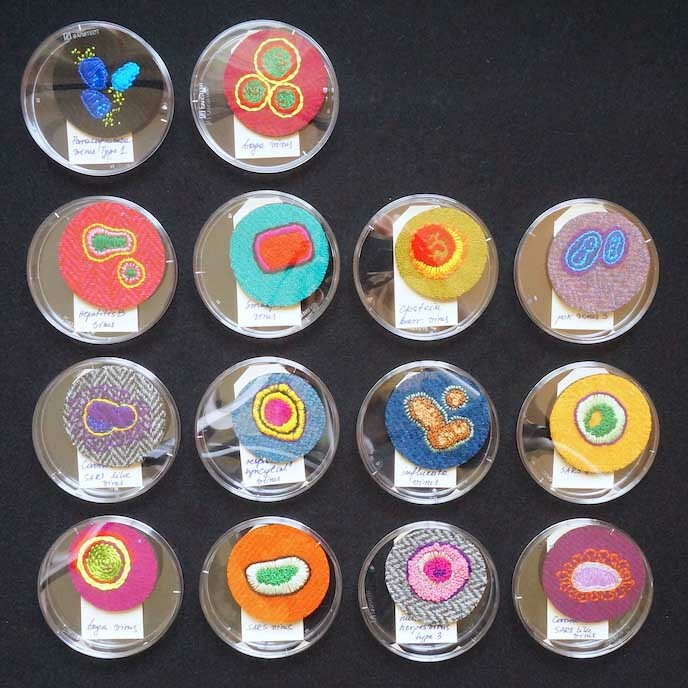 This brooches are hand embroidered with a image of a virus, each is unique and totally one off! Bacteria and viruses invisible to the naked eye are shown in extraordinary new way thanks to very powerful microscopes. All specimens are magnified tens of thousands of times. Seen in this new way, with digitally added psychedelic colours, they are incredibly beautiful. 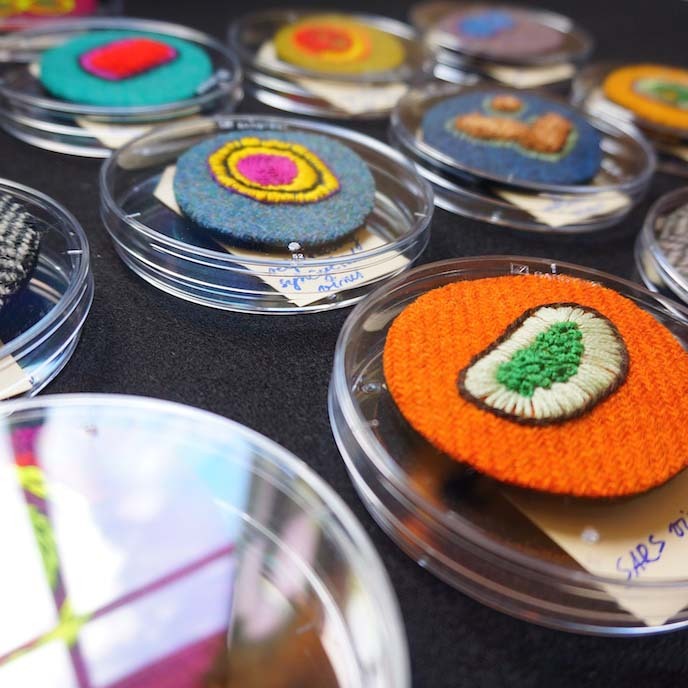 As part of` ¨Culture¨ collection, each of the brooches features hand embroidered image of a single virus, such as SARS, common influenza or hepatitis virus. 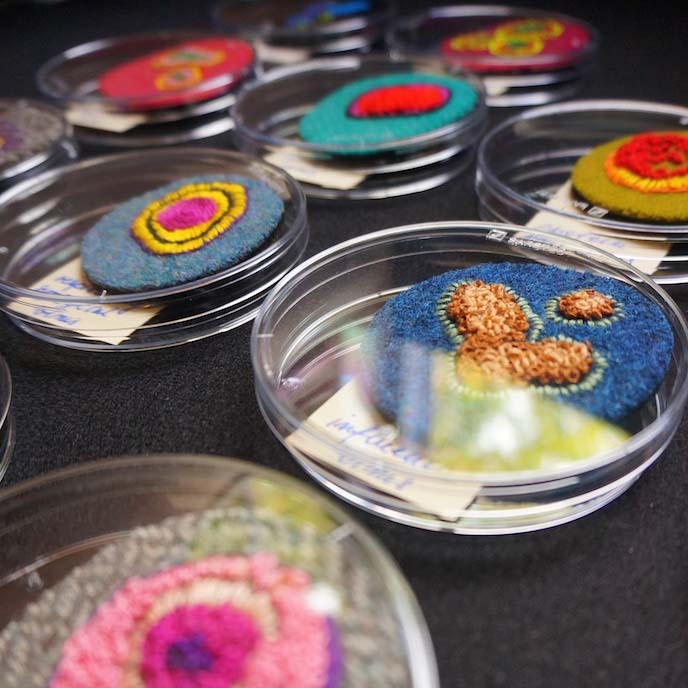 They are safely stored, locked in petri dishes, but you can unleash them and wear it! 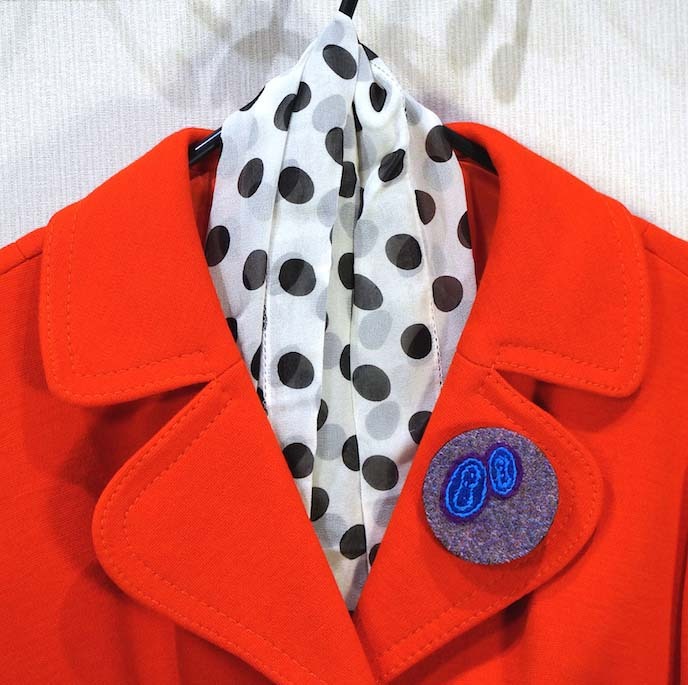 This item is made with Harris Tweed; a cloth hand made by weavers in Outer Hebrides from 100% pure virgin wool. 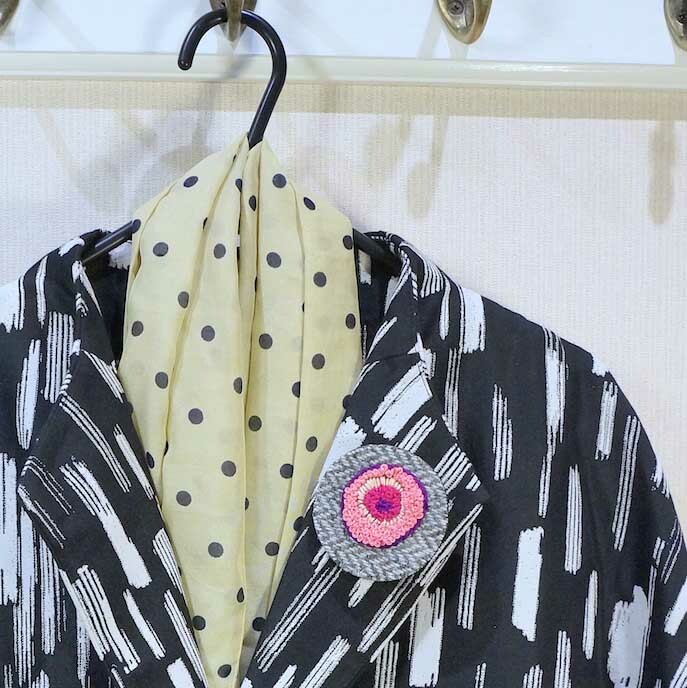 Each brooch measure 6.5 cm in diameter.